Finns on Broadway will be closed on August 1, BC Day. Our BLOWOUT SALE will continue Tuesday, with prices further reduced on all our spring/summer clothing and sportswear. Enjoy the long weekend. With deep sorrow we announce the passing of our friend and fellow worker Nikolaos Kilindris. Condolences to his wife Athena, and his daughters Filitsa and Stella. We all will miss you. 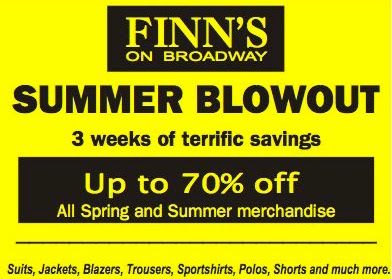 Finns on Broadway, men's wear on the Fringe! 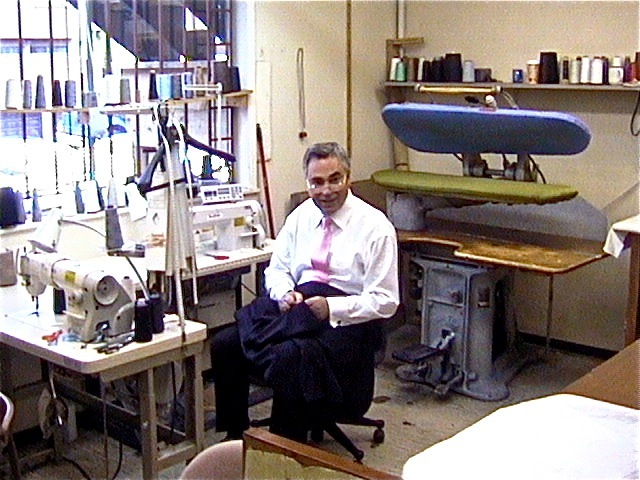 Wardrobe master Kevin Knight has been seen around town outfitting the cast for the fourth season of the hit TV show Fringe. If you are a fan of the series, you might have noticed the many Viyella sport shirts worn by Dr. Walter Bishop, played by actor John Noble. We will be watching the season premiere September 23.